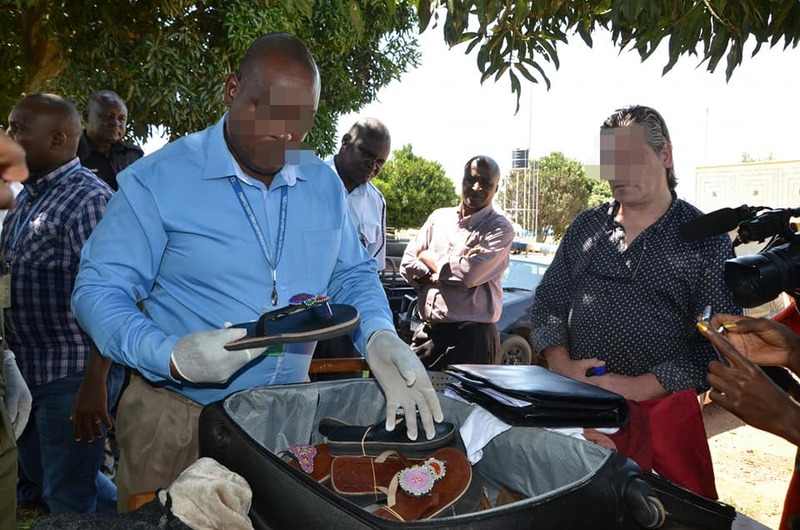 ENTEBBE – Police on Wednesday arrested a foreign national in connection with drug trafficking at Entebbe airport. Maurice Henrick Martin, 48, was on his way to Italy when he was intercepted with narcotics hidden in craft shoes he was travelling with. Kampala Metropolitan Police spokesperson Patrick Onyango confirmed the arrest. Onyango said charges of possession of narcotics have been preferred against Hendrick. “We are going to charge Maurice with possession of narcotics and trafficking of narcotics which is punishable by a fine of shs.10 million or life imprisonment,” he said. Onyango however requested that court grants a custody sentence so that drug trafficking can be ruled out of Uganda. He however warned the public against any involvement in drug trafficking.